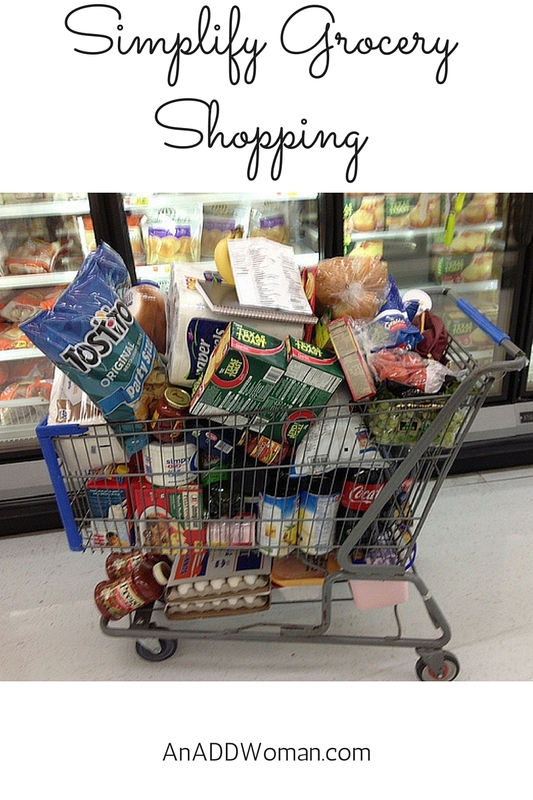 Do you do the grocery shopping at your house? I once had a group of friends when I was younger, and out of all of us, I was the only one who did the shopping. My friends’ husbands did theirs. Now my husband and I share the job, but I’m the one who does all the planning. I have 3 stores that I shop at: Aldi’s, Costco, and a local store for things I can’t get elsewhere. I do not use coupons. We eat real food at our house, which means there is rarely a coupon available, and it’s just not worth my time. I meal plan each week. If you find that difficult, there are very affordable plans out there for you to use. Almost all that I have seen offer a variety of meals, including gluten free, and some even include the best stores to shop at. We buy our meat in bulk from the butcher shop and freeze it. This method means a significant savings per pound and cuts down on our weekly grocery budget. I make a list by category. All of my produce is listed together, all the dairy, etc. It just makes sense, plus it saves time and insures that I get what I need. You can also arrange your list by the way your store is laid out, but I personally find that too much work. I check our fridge and pantry before I make my list or meal plan. That way I know if I have most of the ingredients for a meal and I can plan it in. I have, in the past, used a delivery service like Peapod. I’ve found their prices to be competitive, even with pricey gluten free products, and I’ve never been dissatisfied with anything I got. You schedule your delivery on your terms, you can order online or from your phone, and you can even use coupons! Delivery fees vary according to area, but I live in a fairly rural locale and I think I paid around $6.00 for delivery once my free one was used. I shop at Costco to fill our pantry. My aim is to have at least one week where I don’t have to shop at all, except for things like milk and eggs. I never buy chicken broth. If I don’t have homemade on hand (don’t throw away those chicken carcasses!) I buy something called chicken base and add water. The flavor is so much better than broth and well worth using. Plus, you always have it on hand. I buy frozen diced onions in as big a bag as I can find. Probably a little costlier than chopping my own, but well worth it to me. When I buy chicken breasts in bulk, I separate them into dinner sized portions, put them in a freezer bag and add the marinade of my choice. I try to mix it up. Throw them in the freezer until you’re ready to use them. This way the flavor of the marinade really gets into the chicken. Toss them in the crockpot or on the grill. If I buy ground beef in bulk, I brown all of it with onions and garlic. I let it cool and then portion it into freezer bags. Now I’m halfway done to making tacos, sloppy joes, spaghetti sauce, and so much more. What about you? Do you plan your trip or just wing it? Want a free done for you grocery list? I have two! They’re both in my Resource Library, which has lots of free printables with more added all the time! You can get the password by filling out the form below. 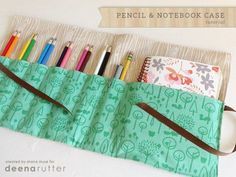 Homemade Sewing Pencil and Notebook Case. 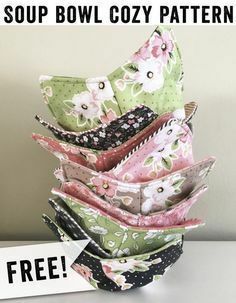 Easy sewing project for the beginner. Make great gifts for back to school time. 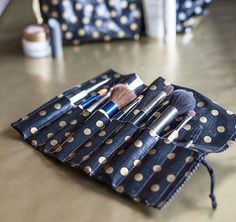 Break out the sewing machine to make a makeup brush roll.